German-born Jana is an eminently qualified master goldsmith, passionate about designing and making jewellery for people who appreciate the lighter side of life. And shiny things. Jana works with her husband and business partner Ross Cutting, also a goldsmith. Jana started the business in 2006, and when Ross joined forces with her, he let her keep the name (he’s good like that). Along the way, they’ve had their Oscars moments and won some awards. They have made bespoke pieces for TV series and popstars. And Jana Reinhardt’s pretty, shiny things have also caught the eye of magazine editors and fashion bloggers. 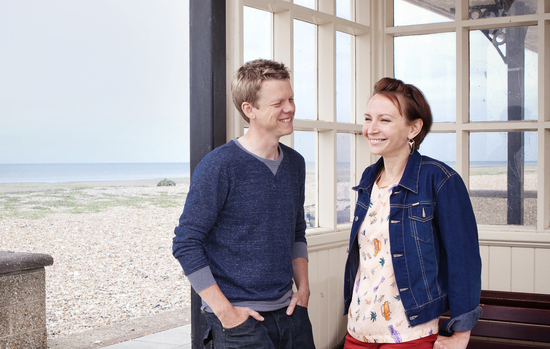 Jana and Ross are based in Worthing, West Sussex, having left the Big Smoke behind in 2012 and achieved their dream of living and working by the sea. Every Jana Reinhardt product is micro-manufactured in their seaside workshop. The couple are passionate about giving the personal touch to each and every piece of jewellery they create. All of our UK deliveries are sent with Royal Mail. International orders are sent via Royal Mail International or FedEX. All deliveries will require a signature on receipt. If you are in a hurry, we also offer an express delivery service for an additional fee.